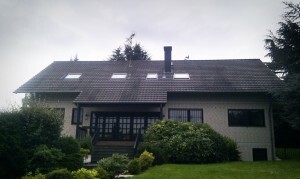 After surveying your home or building and consulting directly with you, Convers Energie will provide you with a customized offer that includes one or more PV design blueprints and a proprietary financial forecast with a 20-year return on investment, based on the applicable feed-in tariff and relevant factors including current interest rates. Convers Energie will recommend the best solar panels and inverters for your installation. If you have a preference for particular panels or other PV system components, please let us know. Convers Energie can install a residential PV system in as little as one day, depending on the size of your PV installation in terms of kilowatts. 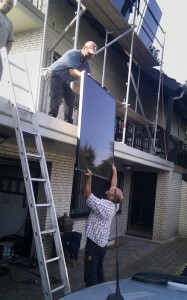 A larger residential installation can take two days. A commercial installation will require anywhere from 2-3 days up to a week or longer. Because of annual feed-in tariff (FIT) reductions, the peak PV installation season in Germany is autumn. Spring and summer are often busy as well, though the 2012 government-mandated periodic FIT reductions may alter this pattern. Overall preparation time for a PV installation can vary slightly, depending on seasonal factors, market supply and demand of panels, and general availability of credit. 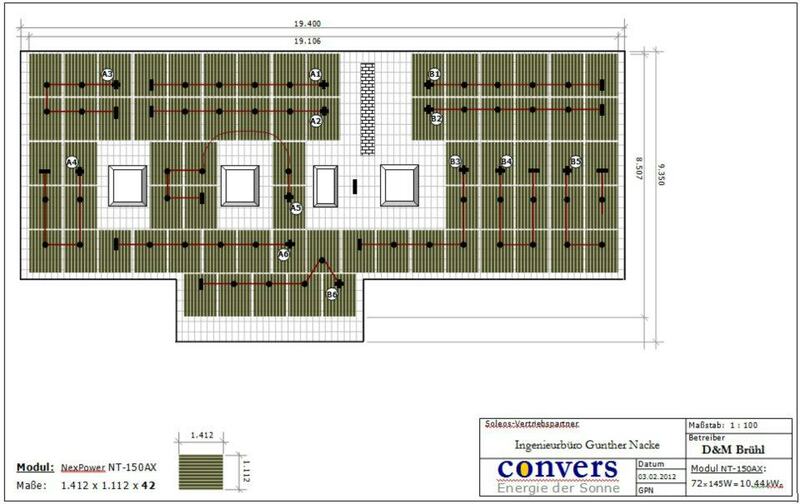 Convers Energie will walk you through both the preparation and installation process, answering any questions you have. Then, once you have made the decision to convert to solar and financing is secured, Convers Energie will schedule your installation as soon as possible. 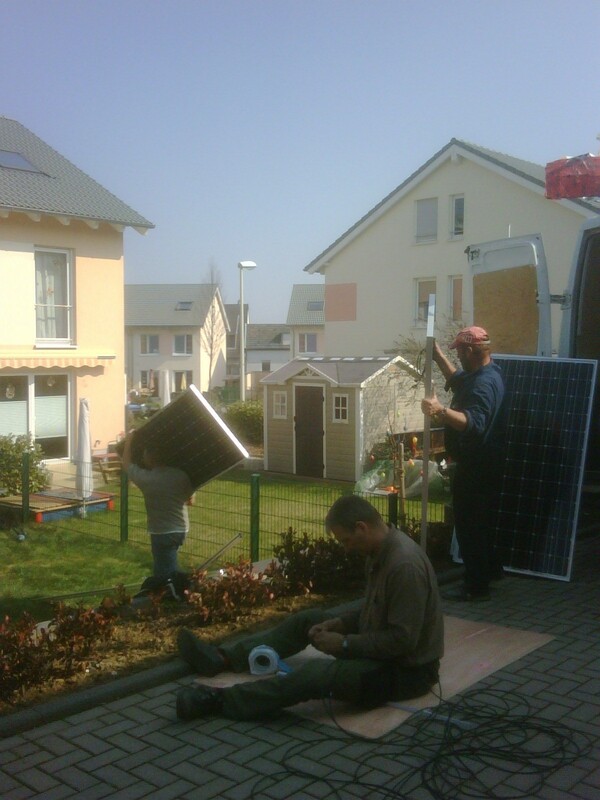 The PV installation process itself involves several steps. Before the PV system can be mounted, scaffolding must be set up. After the panels are in place, the electrical cabling must be properly connected. The inverters for the system must also be connected. 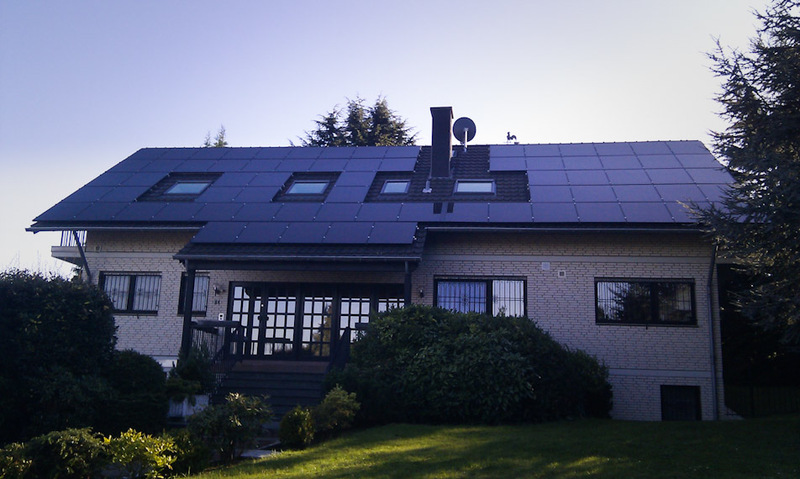 In many countries including Germany, after a PV system is installed, the installation must be registered with the local utility company before the system can be connected to the grid. Convers Energie will guide you through this process and complete the necessary paperwork to make sure that your conversion to solar energy is hassle-free. Convers Energie also installs monitoring systems, so you can see how much energy your PV installation is producing or feeding into the grid each day. For further information, please consult our Frequently Asked Questions or feel free to contact us with your specific questions or to request an offer.